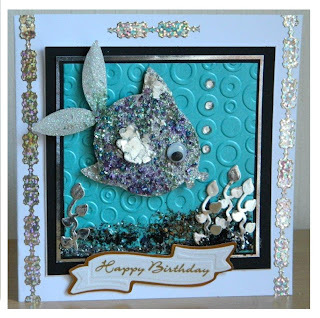 We have had a lot of queries on how our Tracey Anne made this fabulous fish card for our J & C Creations Challenge this month, (don’t forget to come and join us for the Challenge which ends on the 12th June , the theme is ALL THAT GLITTERS). Tracey has written how she made the card and add the links to the products below. Thanks Tracey. 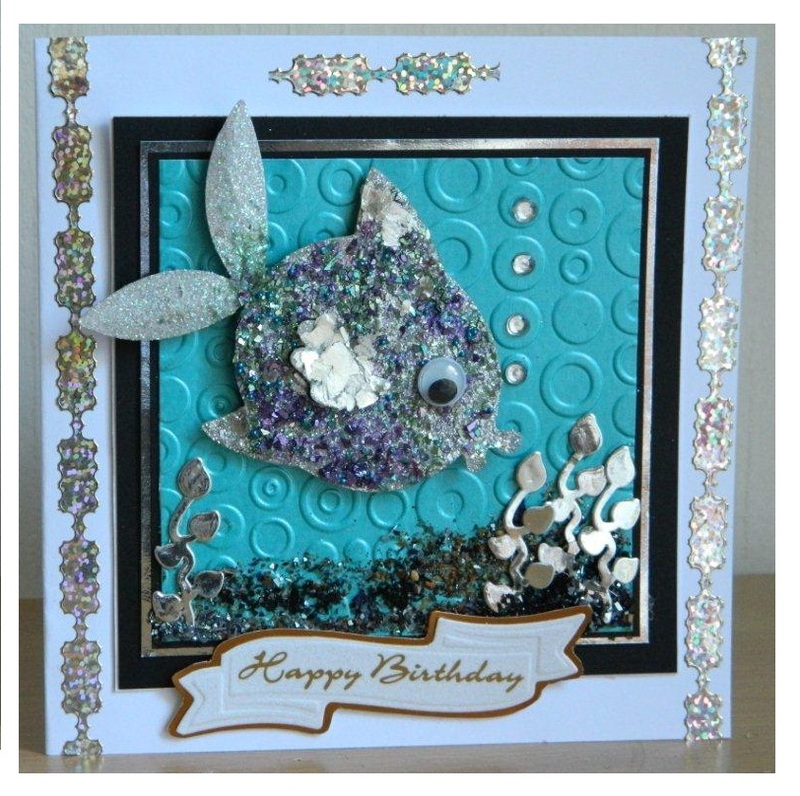 Cut out a fish shape stamp with versamark ink pad then cover and melt Silver halo glitter mix onto it. Then sprinkle with fresh green & lavender crushed glass glitter with Silver mica fragments on fins, the tail is clear holographic glitter.